Another day and another iPhone 5 related leak. And this time it is a probable iPhone 5 handset case that has leaked and which goes on to suggest more into the design changes that the next iPhone will arrive with. But one interesting thing in this leak is that the case is accompanied by a physical iPhone which we expect to be a dummy just to accompany the case but Gizmodo is also pointing out referring to the past history, that this might also be a real-life iPhone smuggled out of the production line. But we are not expecting so. But from this we do get to know that the case is built keeping in mind the probable larger 4 inch screen that the iPhone is LONG rumoured to arrive with. Also we can see the smaller 19 pin charger which is accompanied with the headphone jack at the bottom. 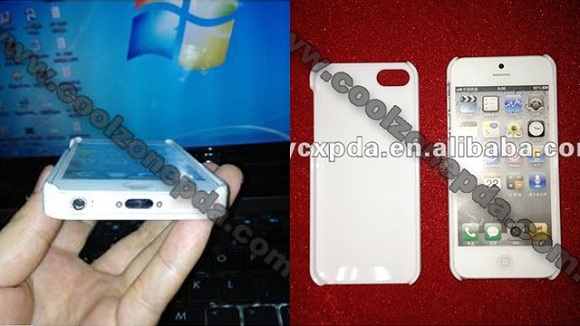 And also we are expecting the speakers to be situated at the bottom of the iPhone 5 only. As the leaks related to the iPhone 5 are catching up the pace, it is being said that Foxconn might have already started manufacturing the device, well in time for a September launch and October arrival.